Roger Moore, the suave, debonair actor who breathed life into James Bond in a series of films mainly in the 80s died this week at almost 90 years old. Since his demise, countless stars etc have been coming out to pay tribute to this magnificent actor. And the same has been happening in Africa too. Whilst Sean Connery had played Bond as a tough, wry, wise-cracking agent, Moore took over and emphasized playing the part as a sort of "spoof" - wise cracking, quipping, with lots of tongue-in-cheek nuances. In Africa, many actors including from the famed Nollywood stable have been praising Roger Moore the actor; with many of them stating how much he influenced them, and how they admired him since their youth. Some insisted that Moore should be immortalised, which in essence he has been, or already is anyway. 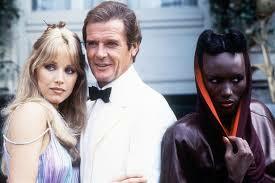 Interestingly, some African writers have also insisted that they patently admired the late Roger Moore too. Bolaji added: “As many pundits have pointed out over the years, (my) fictional Tebogo is a rather fine gentleman too, with a sense of humour, he actually hates violence and evil... Tebogo is so nice, actually weak with women - even if such women are killers! One critic pointed out that Tebogo is so weak and foolish with ladies that he is almost killed at the end of one of the adventures...(Tebogo's spot of bother)"
Another African writer and critic, Raphael Mokoena, said: "I think we can all learn from a sublime actor like Roger Moore. Even his quips have a lot of literary merit...well, sometimes. There is the sense of something positive and fair in Moore's character which I try to put into my own reviews and writings, my critical ‘scribblings’...being fair in whatever one critiques... I rather think African critics Mr Mzwandile Soqaga and Tiisetso Thiba are like that too...presenting positive images in their work…I mean, it's good to be good, eh? That sort of thing...may Roger Moore’s soul rest in peace"
The late Roger Moore had a larger than life personality thanks to his screen image. As we can see here, his devastating impact cut across the whole world. Roger Moore mastered his character and that is why after so many decades it is still existing and taken further by other fine actors. He has lived a life will be remembered down the history of films. It is gratifying that Sir Roger Moore lived to a ripe old age...he has thrilled millions around the world for deacdes, and people will continue to enjoy his screen persona and charming essence, especially the James Bond series. I remember that when I was younger I used to be envious of Roger Moore (not only Bond, but also Simon Templar) - the way all the gorgeous women used to fall for him. An effortless, charming actor who seemed to abhor violence - an irony considering the major characters he is known for. 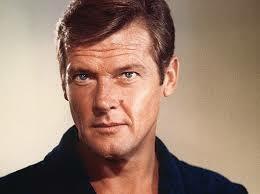 Few would disagree that sir Roger Moore was born to act. So Bolaji's Tebogo series had some James Bond influence?